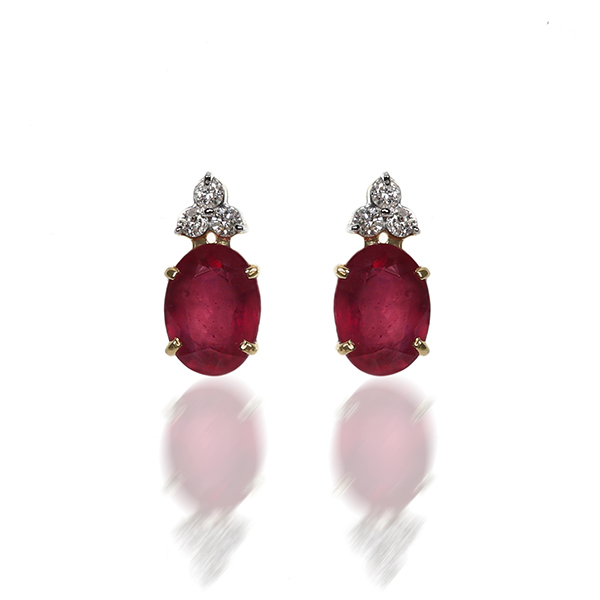 A Perfect Pair of Earrings with an Oval shape of Ruby with Diamonds on it. Earrings with 6 pieces of diamond and 2 pieces of ruby mounted in 18kt yellow gold. in rose gold. we can also customize the ring as per your choice and design. 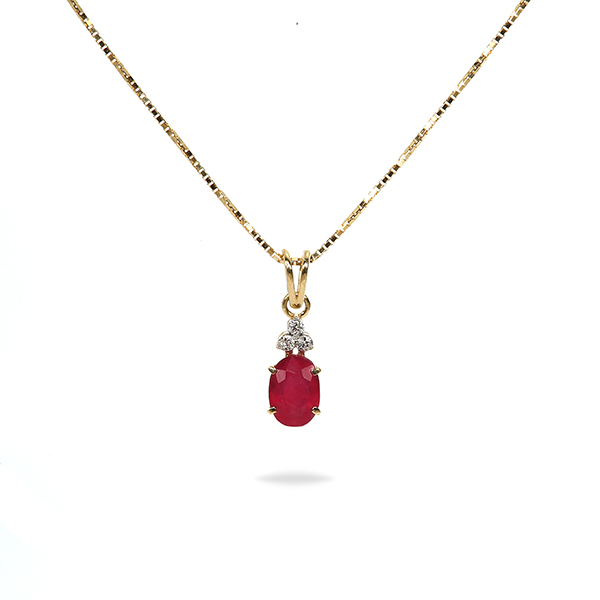 Also Check matching Necklace and Ring in our Necklace and Ring section.